We demonstrate a process for realising mesoporous silicon from a range of land-based plants such as common grasses, bamboos, sugarcane and rice. Such plants act as “natural factories”, converting and concentrating vast quantities of soluble silicon in soil into nanostructured forms of silica in their roots, stems, branches or leaves. This porous biogenic silica is chemically extracted and then thermally reduced to porous silicon using magnesium vapor. Importantly, for larger batch size, an inexpensive thermal moderator such as salt, is added for control of the reaction exotherm and minimization of sintering. Mesoporous silicon of >350 m2/g with 8 nm wide pores has been obtained from a bamboo extract, for example. The same process is applicable to a wide range of “silicon accumulator plants”. 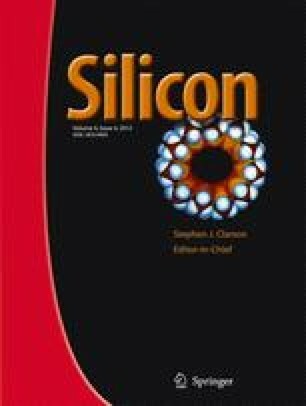 The purity of this “naturally derived” porous silicon is likely to be raised to a level acceptable for a wide range of high volume applications outside of electronics and solar cell technology.